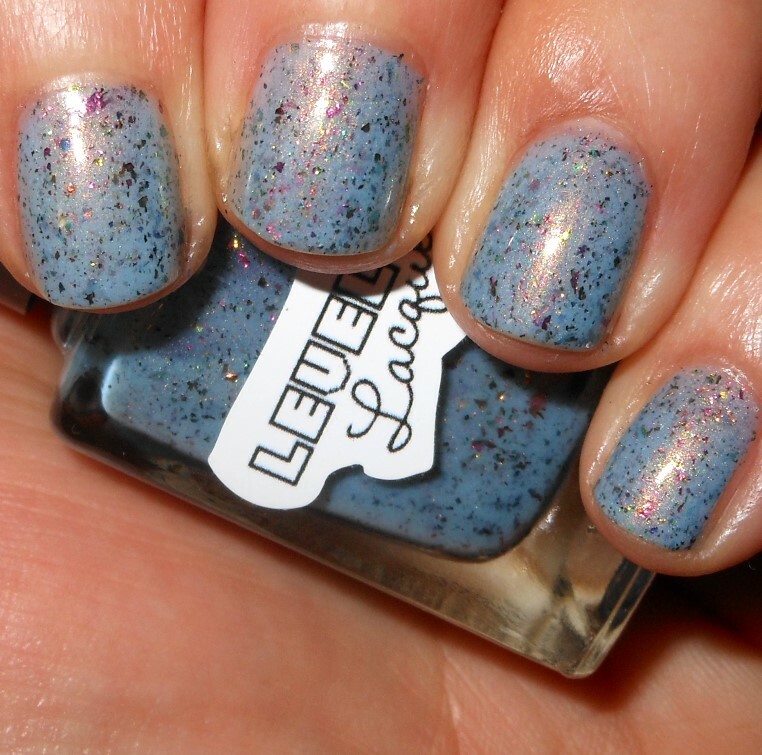 I have another one of LevelUP Lacquer's Intergalactic polishes to share with you today. It's been awhile since I've posted any from this collection, but this has been one of my favorite collections of the year. I can definitely say that now since we're in November. I love the theme and chameleon flakies! This blue shade is a beauty. Subspace is a blueish teal crelly with gold interference and chameleon flakies. Color: This is a beautiful soft blue with just the slightest touch of green. What I love about this polish is that gold "interference" a.k.a. shimmer it really gives this shade intensity and glow. I can't complain about those magical multichrome flakies either! Formula: This has an excellent smooth and easy to apply formula. The formula is sheer on the first coat but builds up in 3 coats. I prefer this formula type of formula on a crelly than a thicker one that doesn't apply as evenly. Price: You can purchase this polishes in 3 different sizes for 3 different prices. 16.5ml for $10, 11ml for $8.50 or 5ml for $4.50. You can purchase Subspace on LevelUP Lacquer's site. Overall: This is gorgeous and unique polish. I love the soft color paired with the intense shimmer and flakies. 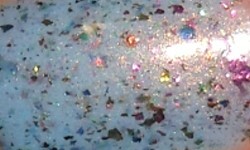 I love the formula and all in all it's a very thoughtfully and well made polish!